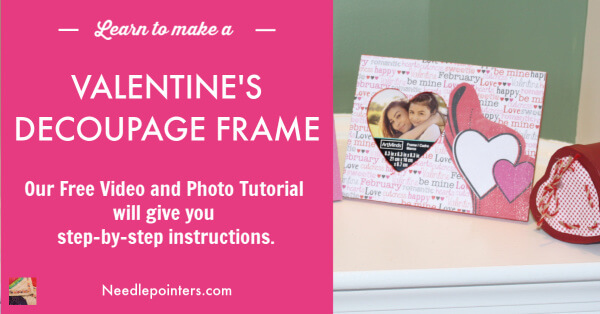 This video and photo tutorial will teach you how to decoupage an inexpensive frame into a pretty frame for Valentine's Day. 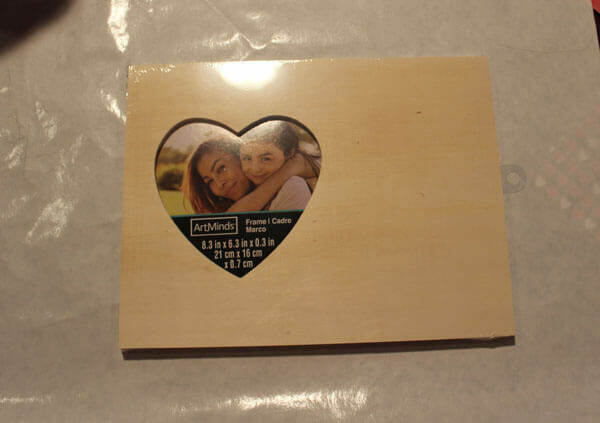 Display your loved ones in this frame. The theme of this frame decoupage could be any theme you would like. Make one for Easter, Christmas, birthdays, graduation or other events. It's a very versatile project. These would make wonderful gifts for holidays, birthdays, graduation or other events. 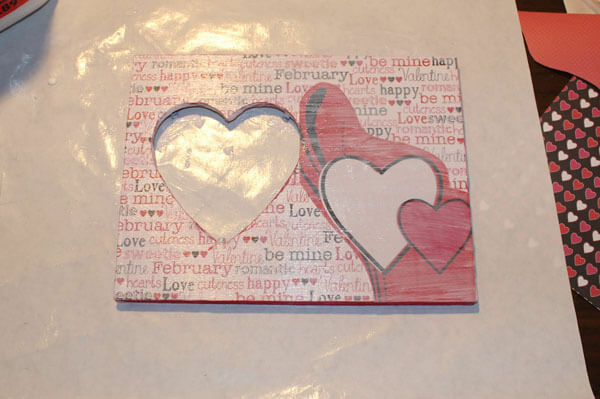 Watch this video tutorial and read on to see how to make this Decoupage Frame. 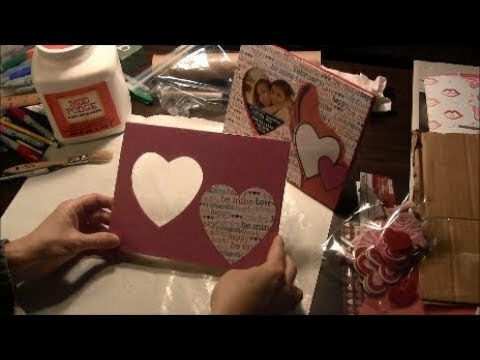 Click to watch the Learn how to Decoupage a Frame with Scrapbook Paper video in Youtube. Look for links to products below. This the the frame we used for our tutorial. Any unfinished frame can be used for this project. We love these inexpensive frames! See below for links to purchase the frames and other supplies. 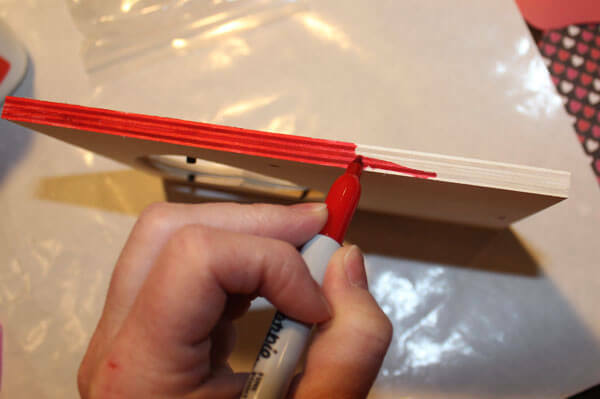 Using a Sharpie marker of coordinating color to your chosen paper, color the sides of the frame. We also colored the inside rim of the heart. These can also be left in their original color. Leave the marker dry well before continuing or the color may run. Trace around frame on the paper to mark a cutting line. 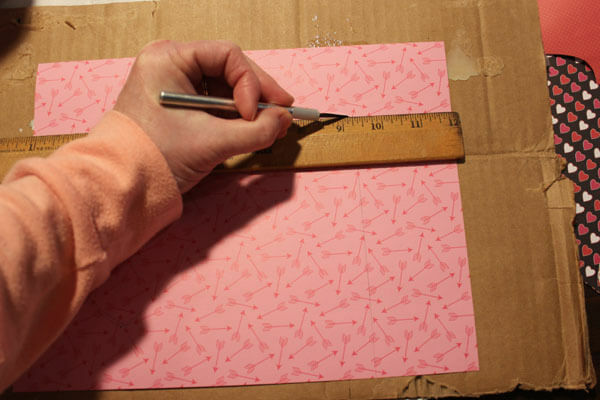 Using the Exacto knife and the ruler, cut out the rectangle from the paper. Be sure to cut on top of the cardboard to be sure you don't damage your table. Turn the paper over to the back and place the frame face down onto the paper. This is how the paper will be on the frame. 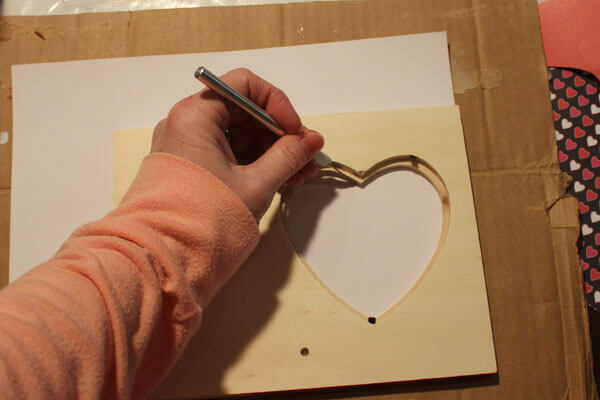 Trace around the heart and then use the Exacto knife to cut out the heart. It's time to decoupage! 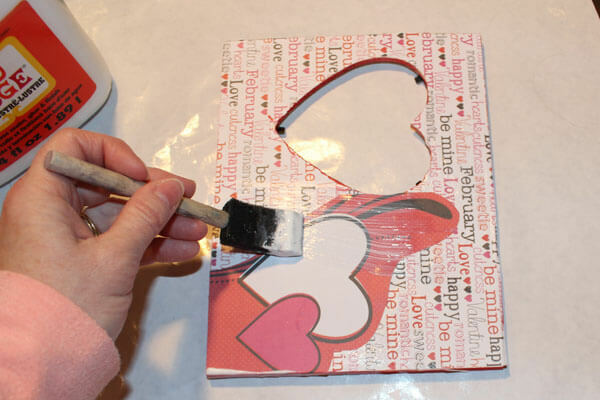 First, using your foam or paint brush, apply the Mod Podge to the sides of the frame over the parts that were colored with a Sharpie marker. Don't forget to apply to the inside edge of the heart. If the Sharpie marker color came off onto your brush, be sure to clean and wipe it off so it doesn't get onto the rest of the project. 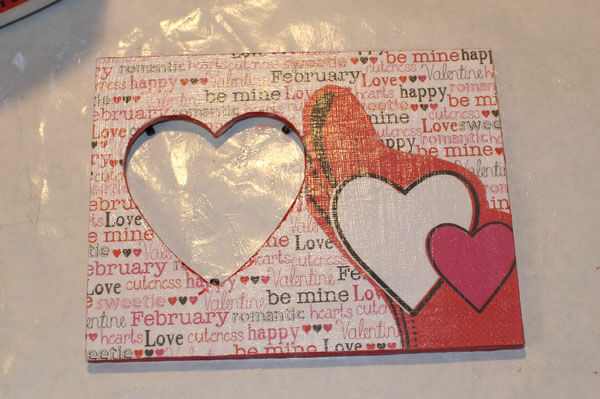 Apply Mod Podge evenly across the front of the frame. Carefully place the paper onto the front of the frame. Be sure to place it down correctly because it's hard to move the paper once it's placed down. Smooth the paper out across the frame to remove any bubbles. You can use a smoothing tool or card. The paper may extend slightly over the edge of the frame. Fold and wrap this extra paper around to the sides. You will want to decoupage this down to the sides of the frame by putting Mod Podge underneath and working the paper until it stays down. You could also just trim the extra paper off. Put Mod Podge over top of the wrapped around paper also. Be sure to clean your brush if some Sharpie marker color came off onto your brush. If you are using a second paper on your frame, cut out the shape from the paper. 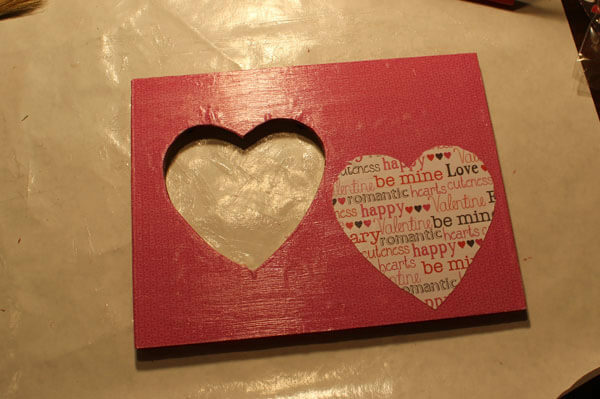 For the frame in the photo below, I used a coordinating paper and cut out the heart and swirl shape. 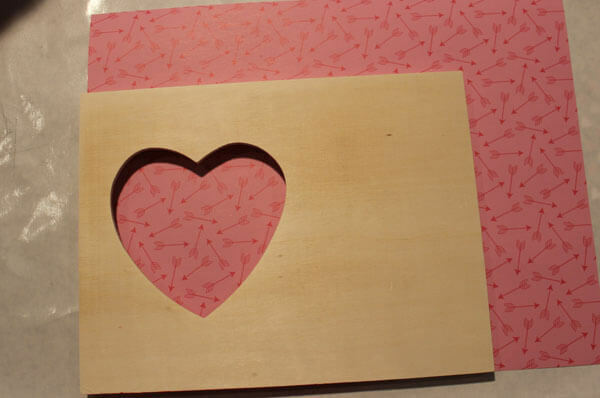 In the video, I used the heart cutout from this frame and applied that to the front of the frame. Apply Mod Podge across the entire front of the frame evenly again. This is over the first paper which will seal it. Place your second paper cutout in position. 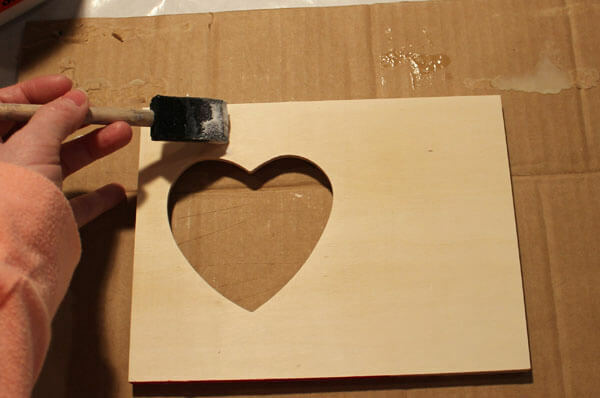 Apply one or two coats of Mod Podge over the entire front of the frame. Allow the Mod Podge to dry for about 30 minutes between coats. Would you like other decoupage project ideas? Click below! 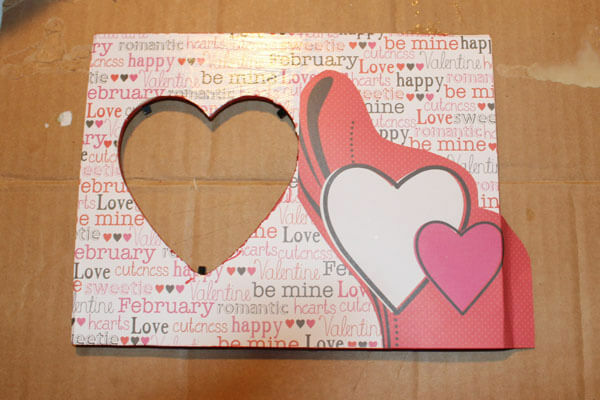 Learn how to Decoupage a Box using Scrapbooking Paper tutorial will show you how to make some cute boxes. 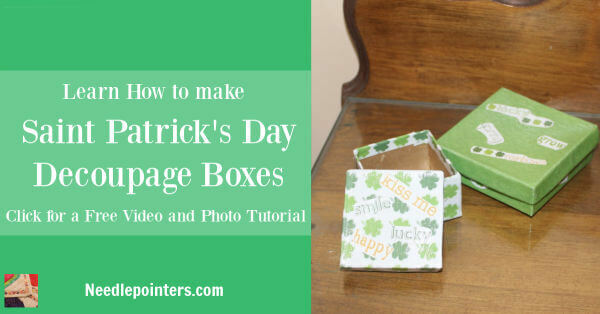 We made ours for Saint Patrick's Day but you can make gift boxes for any occasion. These boxes also make nice decoration for around your house.